Tignes Le Lac. These contemporary chalets, named after characters in our favourite operas, are in a remarkable location for access to the renowned ski area of Espace Killy. Situated just 140 metres from the pistes, intermediate skiers and above can ski back to the chalet at the end of the day. The centre of Tignes Le Lac with its array of shops, bars and restaurants is only a 5 minute walk (approx.) away. Recently built, furnished to a high specification and in a prime spot for ski accessibility, these spacious chalet apartments magnificently combine the functionality of modern living with tradition. Built in the Savoyard style with a contemporary twist, all living areas (as well as many bedrooms) have light, airy balconies. For ultimate convenience all bedrooms are en suite, complete with their own hairdryers. You can entirely relax in peace and comfort as each chalet boasts its own sauna, perfect at the end of a long day on the slopes. They also share an entrance lobby which has communal ski lockers, the luxury of individual heated boot dryers and a lift to each apartment entrance. ‘The Opera chalets’ are a perfect example of modern functionality; a new generation of chalets ensuring your stay is smooth and care-free. 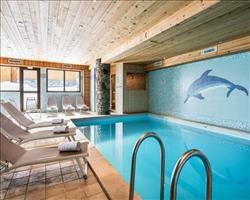 We update Chalet Violetta's details often, but facilities do change. e.g. some extras listed by the supplier as "free" or included might only be for the first time you use them, or for one time per party, then charged for further use. If any specific feature is essential to your holiday, make sure you ask us to confirm the details of it before you book your holiday. This package holiday to Chalet Violetta in Tignes, France departs Saturday 14th December 2019, for a 7 night stay on a "catered chalet" board basis. A local tourist tax (Taxe de Sejour or Kurtaxe) is levied by many councils in European ski resorts. It varies by standard and type of accommodation and is age dependent, so not everyone is charged. It's not included in the basic price of your holiday and is usually paid locally. For reference, the average charged in winter 15/16 was between 50p and £2 per person, per night. Tignes lift pass price last reported as €294 (adult 6 day). 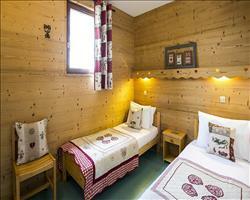 Ask for a quote when booking Chalet Violetta. 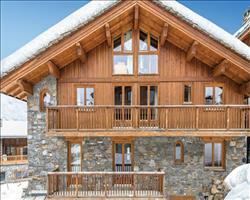 Chalet Francois Tignes France, Gatwick to Grenoble 14th December. Chalet Dominique Tignes France, Gatwick to Grenoble 14th December. Chalet l’Armoise... Tignes France, Gatwick to Grenoble 14th December. 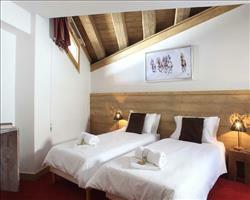 (Ski Lodge) Aigle Tignes France, Gatwick to Grenoble 14th December. Chalet Giorgio Tignes France, Gatwick to Grenoble 14th December. 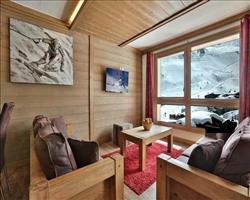 Chalet Escamillo Tignes France, Gatwick to Grenoble 14th December. 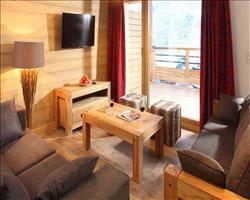 Chalet Carmen Tignes France, Gatwick to Grenoble 14th December. 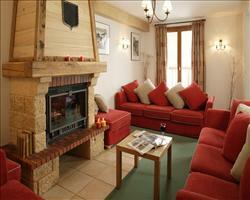 Chalet Annina Tignes France, Gatwick to Grenoble 14th December. Chalet Alfredo Tignes France, Gatwick to Grenoble 14th December. 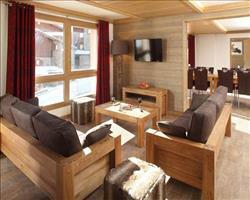 Chalet Isabelle Tignes France, Gatwick to Chambéry 14th December. The chalet itself was lovely, it’s obviously new and was spacious and comfortable. I really can’t fault the accommodation, the only issue was more to do with the chalet hosts. If you asked for something (e.g. we asked for pillowcases as some pillows didn’t have them) it didn’t necessarily happen. Someone had obviously cut their hand when they were setting the chalet up, so there was blood on the bedding – we told them about it and they were naturally embarrassed, but it was quite evident and I don’t know how they missed it when preparing the room. Things like emptied beer bottles were just moved around rather than being put away (by the end of the week the balcony looked like we’d had a big party as there were so many bottles from the week). In chalets I’ve stayed in previously, they’ve come in every morning and cleared up. Our host was a lovely girl, she just seemed to find everything hard work and never seemed very happy with her job when we spoke to her, maybe because she’d done a few seasons before she’d just become a bit comfortable. She was a good cook and the food was good, which goes to show she had chalet experience (other people who had newbie hosts were saying their food was burned or undercooked, but ours was good). All of it was very rich, with every meal being a full on five courses of canapés etc., churned out one course after another. It might be a good idea not to have so much rich food every night, we were craving a pizza at one point! In terms of the location, it would have been good for someone to show us how we could ski out as it wasn’t until we were on the coach home that we found out we could have skied to a slope from the door. We were quite happy doing the trek in the week, but skiing would have been even better – maybe if the chalet host walked us there and pointed out the route it would have been better. It would have also helped if they maybe walked us into town the quickest route. "Overall good, shame about missing Jacuzzi bath"
The chalet worked really well and is in a good location. You can pretty much ski in and ski out which is perfect – 2 minutes from the slopes, from the ski hire, from the shops, from the pubs… We chose a specific room that cost very slightly more because it had a balcony and Jacuzzi bath. There was a shared balcony which was fine but we didn’t have the Jacuzzi bath which was disappointing when we’d paid extra. The chalet hosts were great! Meals were good, we had a bit of variety including some traditional dishes so it was a nice balance. It wasn’t stodgy and came with nice salads etc.